Keeping all of this in mind, I find it ironic that many companies still don’t see energy management as a priority or as a controllable expense. For example, in the retail industry energy is the largest operating expense, yet many small- to medium-size retailers still don’t see it this way. They are under the impression that implementing efficient energy management measures is an investment that is too expensive because energy consumption is a cost they can’t control. This isn’t true and thus, they don’t realize the positive impact energy efficiency measures will actually have on their bottom line. Here is an interesting article from Venturebeat with some eye-opening statistics. In the US, the nearly five million commercial and industrial facilities account for almost half of all domestic energy consumption—at a cost of more than $200 billion each year. Yet, only 5% of the market is adopting energy management tools to help them reduce their energy usage and spend. To me, this also means that implementing a solid sustainability strategy is most likely not a priority either, as sustainability strategy and energy management go hand-in-hand. However, there is hope. This thought process is changing and people are slowly but surely beginning to see the benefits that effective energy management measures and a solid sustainability strategy can deliver, both for the environment and for the wallet. 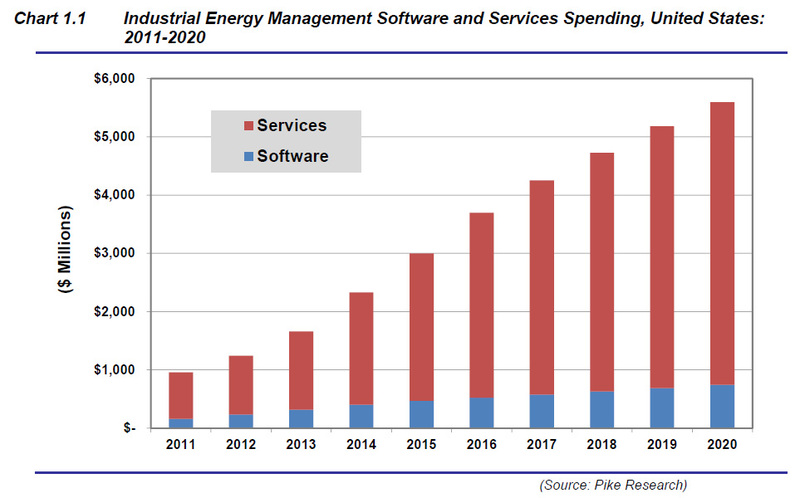 In this free executive summary from Pike Research, it is predicted that the energy management software and services industry will grow to $5.5 billion by the year 2020—that’s an annual compound growth rate of more than 20%. So, it’s no wonder that investing in this market has spiked interest with venture capitalist firms. It’s an easy investment, with little capital, and a fast ROI. This kind of change, in as little as 7 years, is both fascinating and reassuring to me. It lets me worry less about the future for my children. You are absolutely right. In the Healthcare segment (the second most intensive energy consumer) the one truely controllable cost to positively impact their operating expense is to reduce energy. While we have all types of solutions to offer customers, both products and software solutions, we are just beginning to see that community actively engage us to address these costs. With slim margins and revenues in decline, understanding energy usage (information) becomes the key to solving the energy dilemna in healthcare. Your comment is spot on. And energy reduction is also an effective means to reduce healthcare operating costs without sacrificing patient safety. Recent studies are showing that more and more healthcare facilities are starting to recognize energy management as a viable way to help balance their budgets. 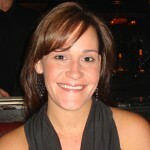 It’s funny that you mention energy management as a key, because my newest blog is about just that: http://bit.ly/12zo93m. Hi Ladies, thank you for your insightful comments. They shed even more light on why energy management is a key way to improve your bottom line. And, it’s not just in Retail or Healthcare, it’s across all industries. Take Life Sciences for example, in a pharmaceutical plant typically 60% to 70% of the electrical energy is consumed by HVAC systems (through motors). And, in a lab, up to 80% of energy consumed is through the ventilation systems. The financial opportunities become obvious. But, reducing OpEx isn’t the only benefit. According to the Dow Jones Sustainability Index, the annual share performance of sustainability leaders exceeded that of sustainability laggards by 1.48 percentage points during the period 2001-2008. Energy management really is the key to achieving both financial and business improvements – across all industries.